The Xperia Z5 Premium is, according to Sony, the first smartphone with a 4K screen. This means it has an insane pixel density of 807 ppi. Its other remarkable feature is its high price. Is it justified by 4K resolution and the Z5 Premium's other features? Find out in our Sony Xperia Z5 Premium review. The Xperia Z5 Premium was unveiled on September 2 during IFA 2015. It is available in three colors – chrome, black and gold – and costs about US$860 / 775 euros. If you know Sony’s OmniBalance design, then the Xperia Z5 Premium will already look familiar to you. In appearance terms, it's essentially a larger version of the standard Z5. The Z5 Premium has a 5.5-inch display, with all the buttons located on the right-hand side of the phone. There’s you’ll find the power button – with built-in fingerprint sensor – located roughly in the center, a volume rocker and a dedicated shutter button for the camera, something that's become typical of Sony. The Xperia logo is etched on the left-hand side, which is also where you'll find the slot for the microSD and Nano SIM cards. At the bottom of the phone sits the microUSB 2.0 port and a band-mounting hole to help you hold onto you Z5 Premium more securely. On the front of the phone there is, as usual, a proximity sensor, notification light, front camera (5.1 MP with Exmor R sensor) and stereo speakers. The design could have been much neater if Sony had reduced the size of the frame around the display. From the front, the Xperia Z5 Premium looks an old Xperia Z Ultra. As is common practice for Sony, the back of the Xperia Z5 Premium is a glass panel set in the phone's aluminum frame, which looks good but picks up fingerprints easily. The 23 MP camera sits in the upper left corner, just below the LED flash. While the X5 Premium is a nice-looking device, it looks very similar to previous Xperia generations and doesn't show anything in the way of design innovation from Sony. The Xperia Z5 Premium is the world's first smartphone with a UHD display, i.e. 4K (3,840 x 2,160 pixels). With its 5.5-inch display, the pixel density is a crazy 807 ppi. This is certainly a leap forward in technology terms, and we hope that 4K is not just a marketing gimmick. Currently, you can shoot 4K video without having a UHD television to view it on. The Xperia Z5 Premium has a feature called Upscale, which converts almost all content to 4K. The result may not be original 4K, but it comes close. Many devices on the market allow 4K recording, but unlike the Z5 Premium, they cannot play it back in the same resolution. This is a clear benefit that the Z5 Premium offers, however it is important to note that it is sometimes difficult to tell the difference between Full HD and 4K recordings. 4K offers great sharpness and contrast, but the Samsung Galaxy S6 Edge+, for example, also excels in these areas. In tests, it has also been found that the Sony Xperia Z5 does not constantly reproduce 4K resolution, but often in Full HD. The display is indeed able to reproduce everything in 4K, but it turns out that this smartphone often switches down a gear and goes to Full HD. The Google Play Store, for example, does not appear in 4K and which might bother a few of you. I watched the film The Hobbit: An Unexpected Journey in 4K via Netflix on the Z5 Premium. This consumed 50 percent of battery life, which is quite remarkable given the film's playback time of two hours and 50 minutes. On the plus side, as with the other Xperia Z5 models, the viewing angles are excellent. Even at an angle of 30 degrees, the display can still be read well. The screen can also be operated under water, which of course means that there should be no problems with touch detection even when it is wet, or partially wet. Like with other smartphones, the Sony Xperia Z5 Premium screen can be unlocked with the fingerprint scanner. Mobile payments can also be made with this sensor too – welcome, Android Pay. But what makes it different from the competition? According to Sony, using this sensor is intuitive, because your thumb sits on it naturally when you bring the phone out of your pocket. Although the fingerprint sensor in the Xperia Z5 Premium is quite small, Sony promises that it is highly accurate and quick to respond. However, I could not detect any significant differences between it and fingerprint sensors in models such as the Galaxy S6 or iPhone 6. By default, the Xperia Z5 Premium comes kitted with Android 5.1.1 and Sony’s own software interface, Xperia UI, so the usual Sony apps come preloaded, including Music, Videos, What's New, News Suite and, of course, apps like Facebook and all 11 Google Apps. Some of the apps can be uninstalled but others, unfortunately, can only be disabled. Thanks to an integrated antenna, the Xperia Z5 Premium can also tune into FM radio, something that no one on Earth has done for at least five years. You can also use the Xperia Z5 Premium to connect to your PlayStation 4 and use it as a controller replacement. The connection with Android TV also works with no problems – you just need to download the right TV remote control Android app. System performance is very good overall; things operate smoothly without any apparent delays. It has to be said that Sony has done a good job of optimizing its software. The Xperia Z5 Premium is running Qualcomm's Snapdragon 810, which is somewhat infamous for its poor relationship with overheating. The Xperia Z3+, which uses the same processor, suffered from frequent crashes when users tried to do something as mundane as interact with the camera app. Sony issued a generous 2 GB update that was intended to fix this issue, but it was only partly successful. The time I spent with the Xperia Z5 Premium showed that Sony has learned from past mistakes, and users of the Z5 premium will be spared the problems of old. While using the camera app does lead to the phone heating up, the app no longer crashes as a result. The Z5 Premium’s hardware is largely the same as its sister models, the Xperia Z5 and Z5 Compact, but there are some differences. The Snapdragon 810 (MSM8994) runs at a minimum clock speed of 1.5 GHz and a full clock speed of 2 GHz. It’s a 64-bit processor and is supported by an Adreno 430 GPU. RAM sits at 3 GB. As it’s the Premium model, it would’ve been nice to see something a little more spectacular. The internal data memory is limited to 32 GB, but microSD support allows users to expand this up to 232 GB. There were no glaringly negative traits to speak of. Oddly enough, however, when run through the AnTuTu benchmark test, the Z5 Premium performed worse than its smaller sibling, the standard Z5, which scored 66,858 points, compared with the Sony Xperia Z5 Premium’s 58,578 points. Although, given the previously mentioned smooth performance of the Z5 Premium in normal use, these scores might be worth overlooking. Sony has greatly improved the sound quality in the Xperia Z series over the years, and the Z5 Premium's front speakers sound loud and clear. This improvement has been made possible by Sony’s in-house DSEE HX technology. For better sound, especially through headphones, be sure to make use of the Clear Audio+ mode. The sound settings can be adjusted to your personal taste, to get it everything sounding just right to your ears, but, if you don’t feel like bothering with this, the default settings provide good quality too. The Xperia Z5 Premium camera has received an upgrade. The Exmor RS sensor produces images at resolutions of up to 23 MP and autofocus operates extremely fast, within 0.03 seconds. The highlight of the Xperia Z5 Premium camera, according to Sony, is what they call Hybrid Image Stabilization. That is, the stabilization process takes place semi-digitally and semi-optically, but ultimately the result depends on the software, not the hardware. I found a noticeable reduction in camera shake when shooting videos, but you shouldn’t go waving your phone around maniacally and expect steady footage, the technology has its limits. As mentioned above, the Upscale feature creates almost 4K quality images, and the Xperia Z5 Premium also shoots videos in 4K. The new autofocus maintains a sharp focus, even on fast-moving objects, depending on their proximity to the lens. Other smartphones already offer similar software features, but I haven’t seen any that function as well as this one. The camera sensor makes fine adjustments when you’re trying to capture really fast-moving objects, which means you can take great photos without needing your subject to remain frozen in place while you frame your shot. When it comes to the color range and the sharpness of the images produced, the Sony Xperia Z5 Premium’s camera is great. Everything looks lush and lifelike. And it’s all made really easy to get to grips with. With a total of five zoom levels to choose from, everyone will be able to capture the perfect image and take selfies without any problems. You can view all the photos and a video in full resolution here. Two days and one hour with 4K! That was Sony's official promise Sony on the Z5 Premium’s battery life, but it was a promise it could never keep. Given the phone's a 3,430 mAh battery, only the deliriously optimistic would have believed such a claim. After all, the 6-inch Nexus 6 has a 3,220 mAh battery and a 2K display, and even that struggles to make it through a day. In our test, the battery fell from 100 percent to 15 percent within five hours and 10 minutes. During this time, we played a Netflix movie (170 minutes) and three YouTube videos, played the game Horizon Chase for 30 minutes, and spent 18 minutes surfing the Internet, using Hangouts and conducting some video chats. Despite this being quite intensive use, it’s still remarkable how quickly the battery drained. There are, of course, ways to conserve power: by dimming the display, for example, or using Stamina Mode or even Ultra Stamina mode. But with this being such a pricey smartphone, and one made by the battery master Sony, no less, we expected more. There is, at least, a fast charging feature, which will plug the leak and keep it afloat on the electric seas, but having to keep a power outlet close to hand is frustrating. The Sony Xperia Z 5 Premium is a smartphone with some unique selling points, but it seems out of date in some areas. Sony’s OmniBalance design principles are a matter of taste – some love them, others simply find them boring. But the simple truth is that it feels like it’s time for a fresh look. Also, Sony should finally bid farewell to the mirrored glass rear. Especially in comparison with other premium models, such as the Samsung Galaxy S6 Edge Plus, the Z5 Premium can easily be said to lag behind in terms of design. When it comes to the device’s interior, however, Sony gets bragging rights. The 4K display is impressive, the software and audio quality are convincing and the camera shoots great pictures and videos with ease. That the display doesn’t always use 4K quality, and instead sometimes switches back to full HD, can be forgiven, as the change in quality is largely unnoticeable. However, the fact that the fun’s over in a few short hours, and the Sony Xperia Z5 Premium needs to be kept close to a power source, puts a real dampener on proceedings, and there’s really no excuse for such poor battery life. After all, it has been a long-running strength when it comes to Sony smartphones. Also, given the very high asking price, users have a right to ask for more. 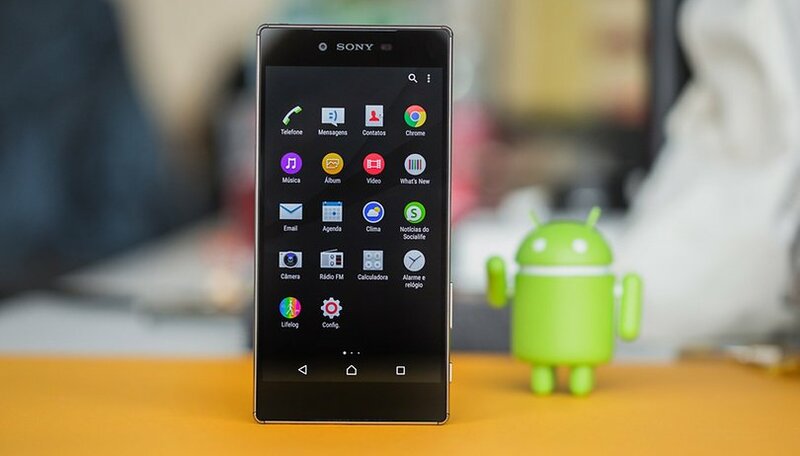 What do you think of Sony’s 4K smartphone? Does its poor battery life put you off? Let us know in the comments. The only content displayable in 4K on this phone are pictures and videos viewed through the Sony gallery app. No other app supports 4K on this phone. Yes I know Netflix and YouTube have some 4K content, however neither Android app support said resolution. Wether they will in the future and work on the Z5 remains to be seen. For now there isn't really much point besides Sony being able to say they were first to market with a 5" 4K screen. Well, now its a real challenge for our dragon to get snapped. Welcome back Sony, if they have managed to get the optimisation right, and the battery stacks up there is nothing wrong with a better screen, in fact I'm all for it. Better technology that works is always welcome. I currently have a Note 4 and I'm tired of Samsung's way of doing things. I won't get aa Note 5. The processor issues are valid but short of a MediaTek 10 core monster and the Samsung processor there is nothing else that can rival it. They are however both phones. Snapdragon 810 won't be able to handle 4K resolution with ease. That's a fair call, Rodger. Thanks for the comment. I agree with Madars. Nothing special here except for a 4k screen, which for the standard user is just a waist of battery power. It dose have an SD slot but still has USB 2 not 3. I like the water resistance but not at the cost of a removable battery. I will hold on to my S3 until something special comes along. I have great hopes for the LG G5. Please don't disappoint me LG, your my last hope for a great phone.